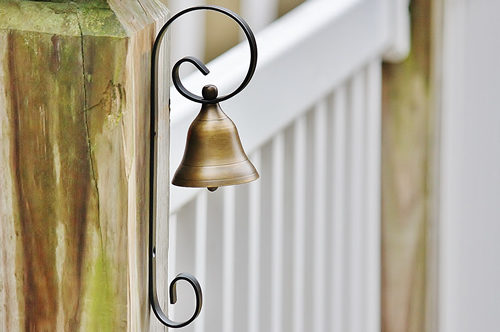 This bell mounts to your door or wall with two screws. 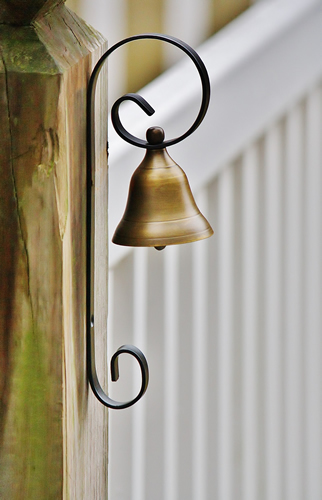 When the door is opened, the bell moves and rings. 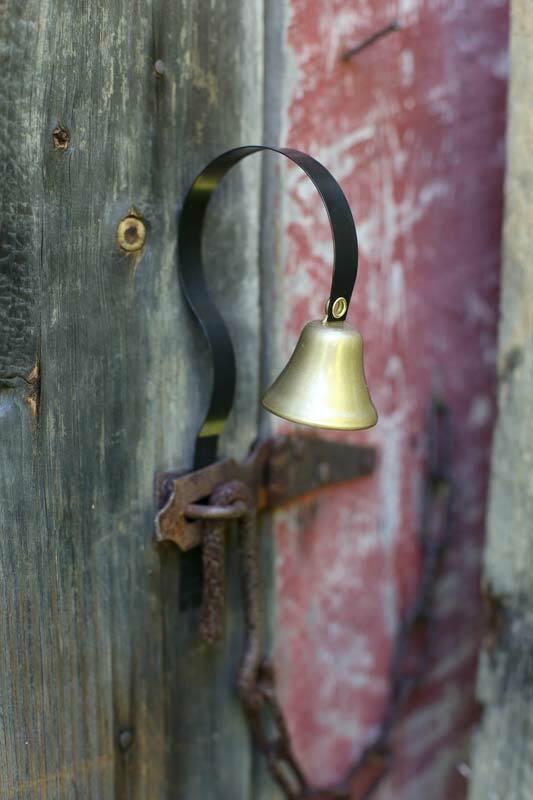 The shopkeeper doorbell is an old-fashioned and classic alternative to electric doorbells. Beautifully designed in with solid brass finish. This shopkeeper doorbell is wonderful as an entrance/exit alert on any door.